Relocating to a new house is stressful enough without having to worry about the logistics of an entire move. So when it comes to the heavy-lifting (literally), leave it to the professionals — professional movers, that is. Experienced Bluffton, SC moving companies consist of expert movers and packers who can efficiently pack, move and assemble your Bluffton belongings to ensure that you get off to a good start in your new home! We are a local moving and portable storage service. UNITS are perfect for all of your home renovation storage needs! 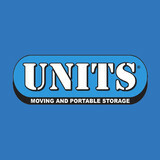 UNITS® offers a variety of solutions to meet all your storage needs. We specialize in long and short term storage options on your selected site or in a safe and secure UNITS Service Center. Let UNITS® make moving and relocation a little easier. We can help you move door to door locally or nationally. We also provide packing and moving supplies for your move. 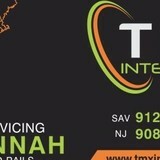 TMX Intermodal is a mid-size company with a hands-on approach. We service the ports of New Jersey, New York and Philadelphia. Because of our size, we are able to offer personalized services to address your transportation and logistics needs. Our drivers, both company drivers and independent contractor drivers, have been loyal to the company for a number of years, creating a dedicated work force. We focus on a limited number of services, so that we can do them well. 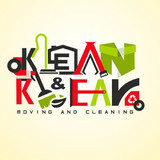 We customize our services to meet your moving, organizational or decluttering needs in a quick and easy manner! Organizing, scheduling, specialty packing techniques to protect your valuables, unpacking, arrangement for sale and/or consignment of fine antiques, furniture and art, household inventories, cleaning and maintenance of your home while it is on the market, and many other services offered. Discreet, discerning, dependable and most importantly, confidential relocation services. References available upon request.